The Atlantic has a great gallery of modern Chinese DIY inventions including the rickshaw robot pictured above. The Draganflyer X4-ES Ultra Portable UAV quadrotor helicopter ushers in a new standard for compactness, with quick release rotors, folding landing gear, and a gyro stabilized two axis camera mount. It also features return to home, stare point, and vision based and navigation based points of interest. Robotiq unveils the 2-Finger Adaptive Robot Gripper - 200 - a flexible electric gripper with 200 mm of stroke and expanded capabilities. Event welcomes competitors from across the globe to family-friendly robotics event centered around autonomous land and air vehicles. 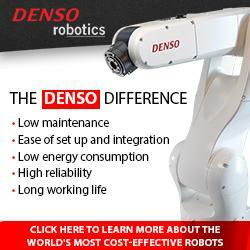 The American National Standards Institute (ANSI) has approved a new American national robot safety standard. TORC Robotics announced that the GUSS autonomous ground vehicle has completed an 11-day Marine Corps Warfighting Lab (MCWL) Limited Technical Assessment (LTA) at Ft. Hunter Liggett, CA. "KTPO has consistently delivered outstanding vehicles to the customer"
Military ground robot market growth comes from the device marketing experts inventing a new role as technology poised to be effective at the forefront of fighting terrorism. The project 'Robomate', aims to develop an exoskeleton for industrial applications.